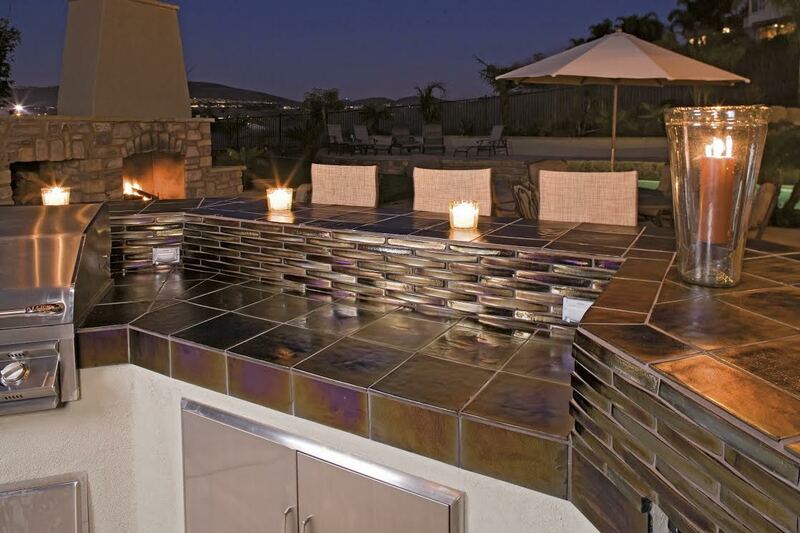 Perhaps more than any other design product category, tile and stone has gone under a tremendous revolution in the last few years. 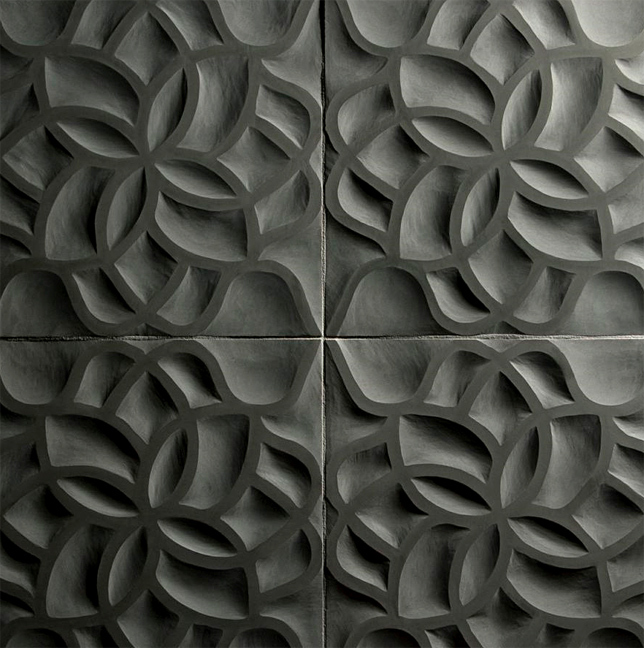 It seems as if almost every year, manufacturers are pushing their imagination and the physical boundaries of stone and tile to produce what could not even be imagined just a decade ago. PORCELAIN – The technology in the area of porcelain tile manufacturing in the past decade has advanced incredibly fast. Originally designed for high traffic commercial spaces, today porcelain tiles offer not only the incredible durability they are known for, but are now available in large sizes. Some porcelain tile is up to three and four feet long! And in patterns and colors that mimic other materials, such as marble, stone and wood, so closely that you truly cannot tell the difference, once they are installed. You can get some fantastic looks for a great price with porcelain products and at the same time have a surface that is virtually indestructible, even when placed outside. 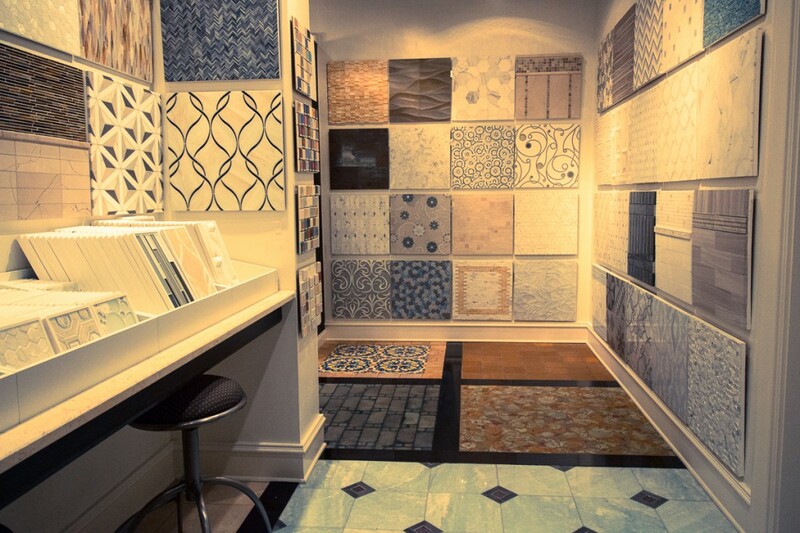 CERAMIC – With porcelain tiles making up a large majority of the wall and floor tiles manufactured today, ceramic tiles are now made primarily by artisans with a wonderful array of hand painted glazes, and designs. Today you will see ceramic tiles used primarily on walls and ceilings, with the variety of styles, patterns and designs growing each year. There are some stunning shapes being produced right here in the US by artists using techniques that date back hundreds of years. 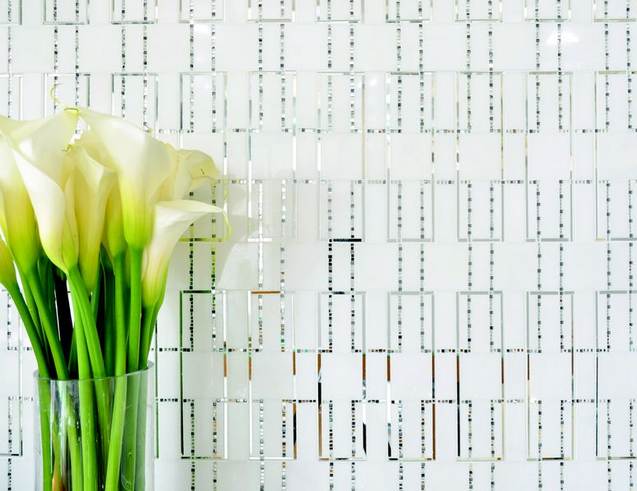 GLASS – Glass has really gone to the forefront in tile design over the last decade. It can be colorful or subdued. It can be simple or extravagant. Glass, despite its reputation, is actually very durable and sturdy. It is fired at such high temperatures that it actually is stronger than many other forms of tile. It is also impervious to moisture, making it an excellent choice for showers, baths, outdoor pools and patios. 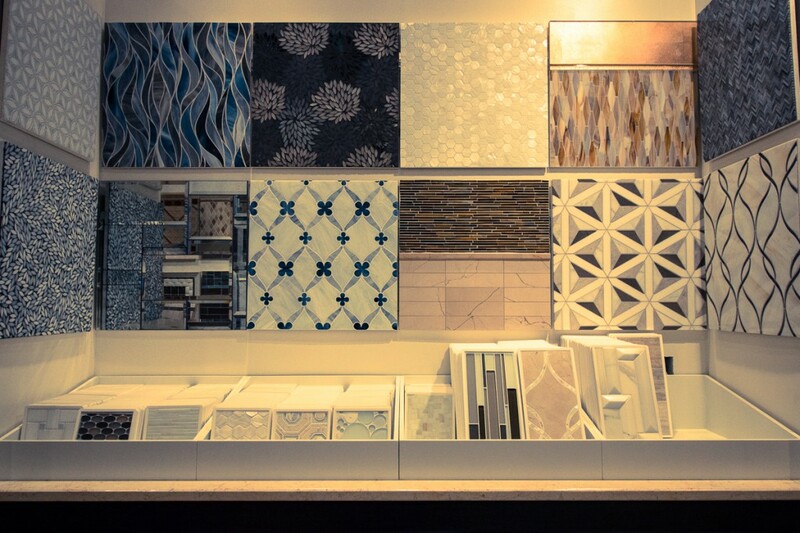 Glass tile manufacturers are now experimenting with all types of shapes and textures. 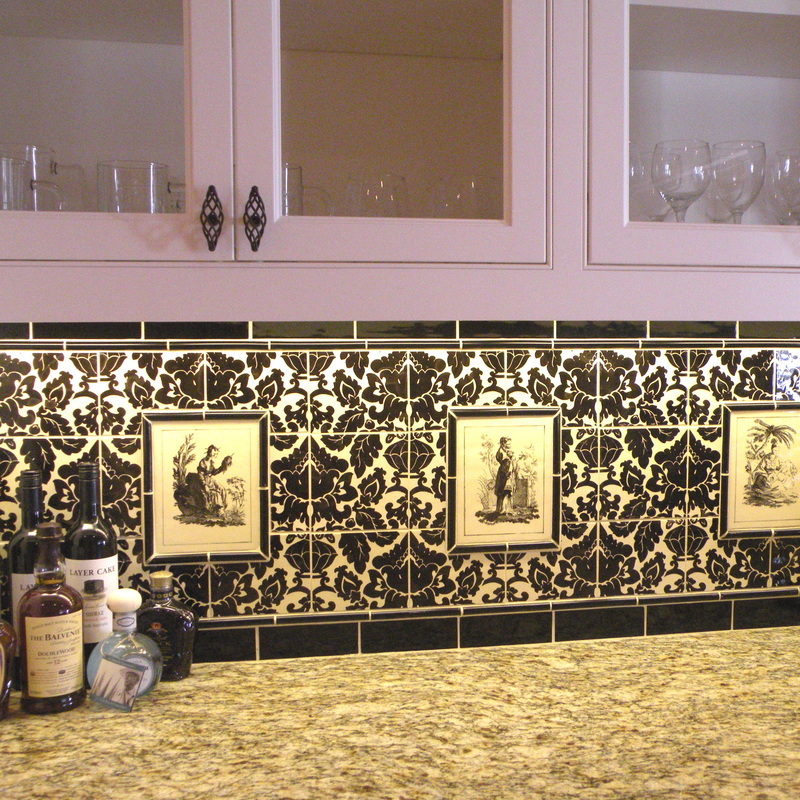 There is so much more out there today than the basic 1”x 1” glass tile. 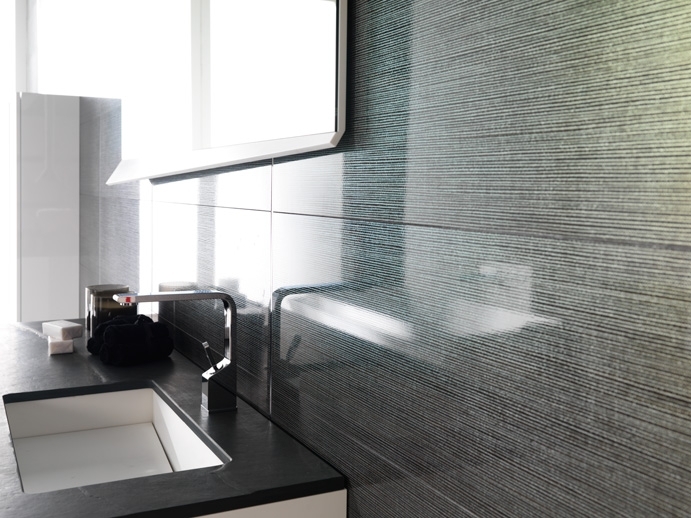 METAL – Metal tiles are a great accent to porcelain, natural stone, glass or ceramic tiles when used either in wall or floor applications. You can find great designs in bronze or silver and in a variety of shapes that work great in traditional or contemporary interiors. 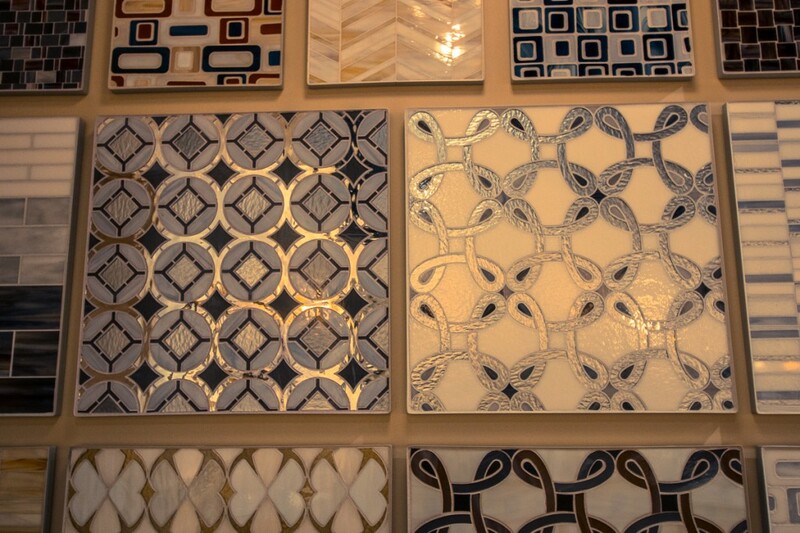 Think of metal tile as a great piece of jewelry that completes your tile selections. 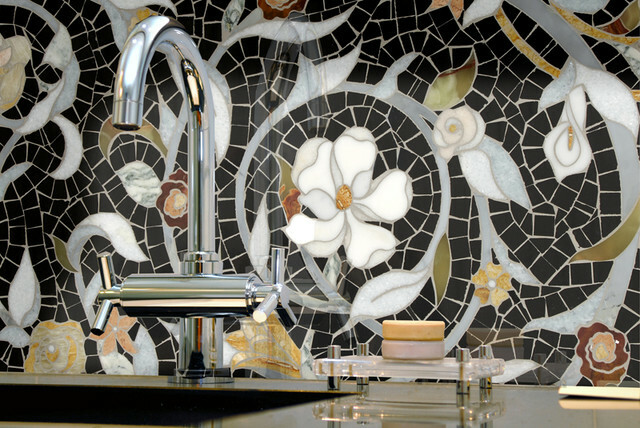 MOSAIC – The art of mosaic tile has been around for thousands of year. But today, the possibilities have increased even more with newer materials being used (glass, metal and porcelain) and the patterns can range from Classic to completely modern. Most artistic mosaics are still cut and assembled by hand. They can be used on floors, walls and are great as accents in showers and kitchen backsplashes or for that special focal point wall. The patterns can be small in detail or oversized and bold, depending on the style you chose. 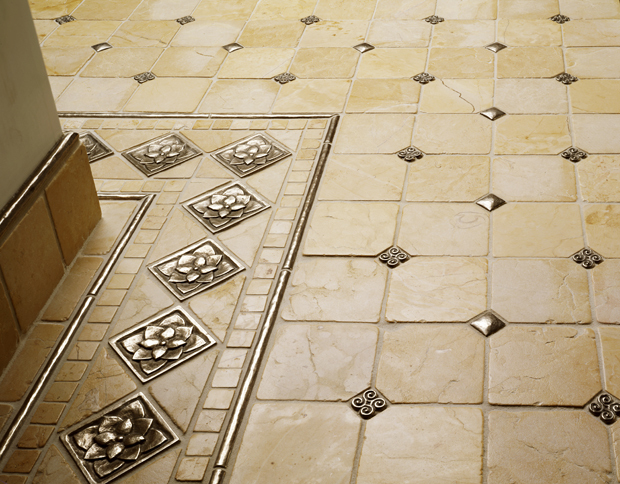 WATER JET CUT – Next to porcelain, nothing has completely changed the game of tile like water jet technology. Used high pressure water as a cutting tool, manufacturers today can create almost endless patterns in natural stone, glass, metal, and porcelain. 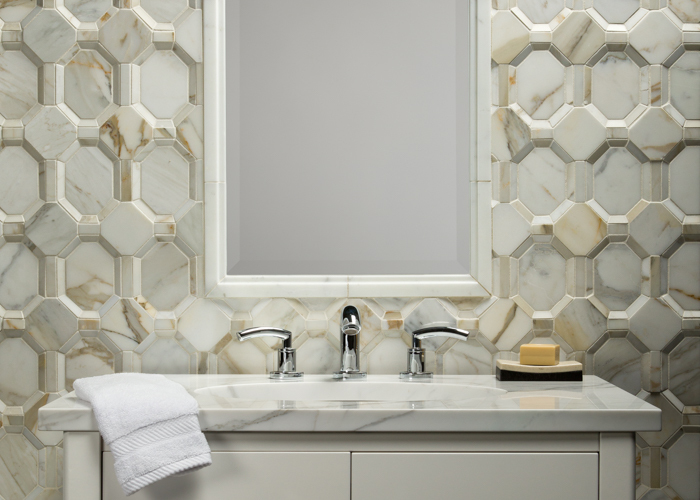 Whereas mosaic patterns are made of thousands of little pieces to create a pattern and design, water jet tile is much like a large puzzle piece with each piece being a single piece. The level of detail is remarkable and every season, manufacturers are creating incredible designs with materials that could not even be imagined before. The level of customization is also a plus, in that you can create not only custom color and material combinations, but also take a pattern and make it and size you want. NATURAL STONE – Of course there will always be natural stone tile. It has been used in the design of homes for thousands of years. But today, we are still seeing new species being mined and delivered to showrooms. This is in part because of better mining techniques and the constant search for new resources of natural limestone, marble, onyx, slate and granite. 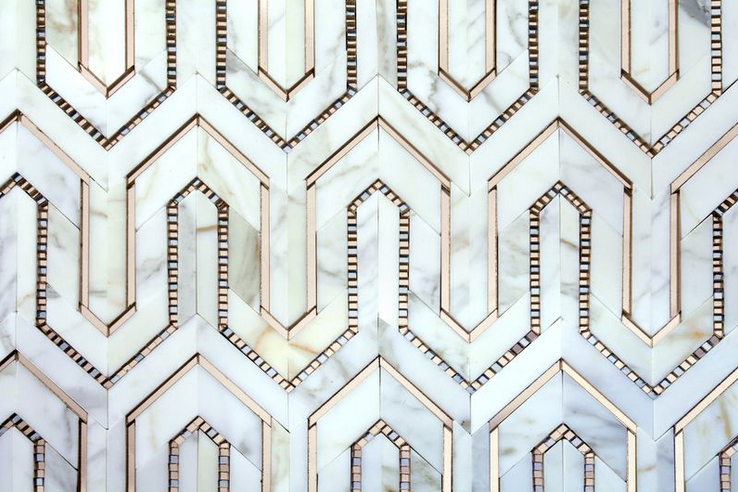 Many marbles and limestone varieties are now being cut into patterns and in 3 dimensions, due to advances in cutting and water jet technology. 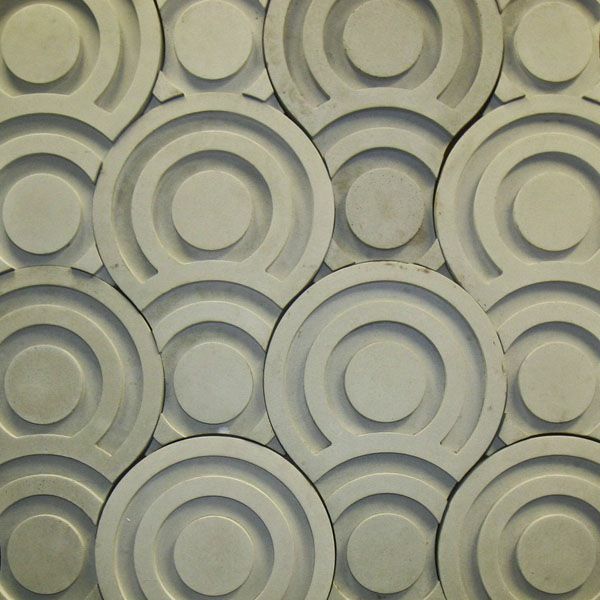 CEMENT – In the last several years we have seen a resurgence in cement tiles. Although they have been around forever, today’s cement tiles are being in much more modern patterns and with much larger scale. Others are being produced in very dimensional shapes. 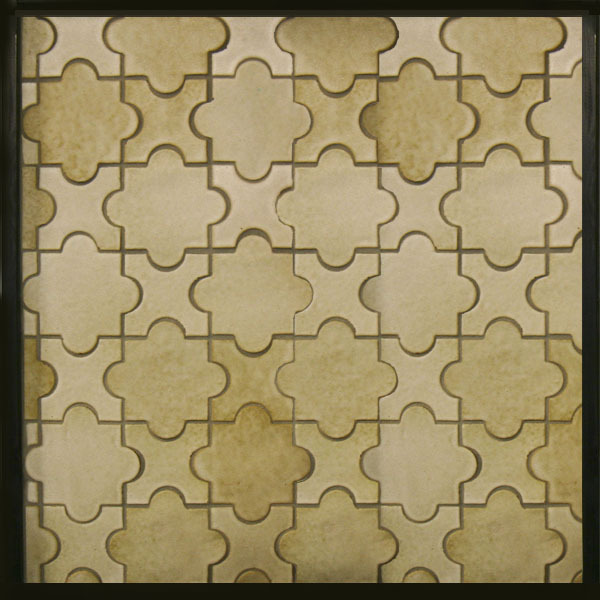 They are a great alternative for floor tiles when you are looking for color and pattern. 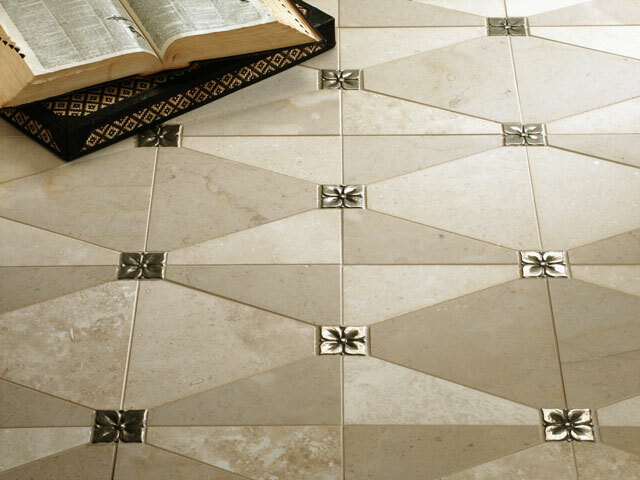 So, if you are thinking about redesigning or remodeling a room, think about the tile and stone that you may be using. There are so many great choices available today that tile can become a great starting point in your room selections process. Stop by our showroom and let us show you our hundreds of selections that we have to offer you, no matter your budget, style or application. Call us at 423-472-6409 to set up a design consultation or to speak with us. We are the only one stop destination for all of your interior design needs in the Chattanooga area.